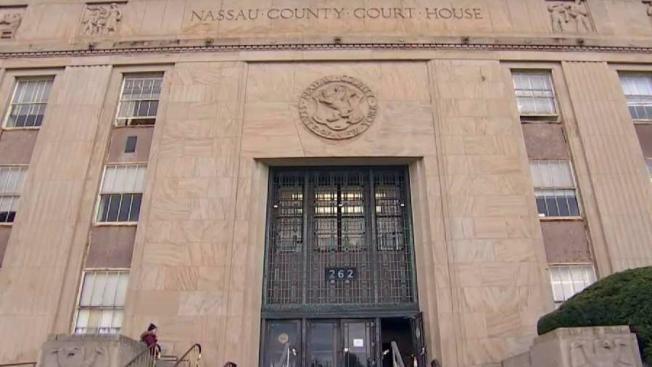 Prosecutors on Long Island have been accused of using questionable tactics. Pei-Sze Cheng reports. Defense attorney Steven Raiser was preparing for trial in Nassau County when a key witness in the case received a subpoena ordering the witness to appear before the grand jury for a case called “People v John Doe.” The subpoena asked the witness to first report to the Nassau County District Attorney’s office. "You're issuing it under authority," said Raiser. "Now you have a witness who is compelled to come see you." But the witness never spoke to a grand jury. Instead, according to a sworn affidavit, inside the district attorney’s office, prosecutors hammered him with questions about the very case for which he was a witness. Telling him they thought he was "directly involved in some criminal acts" with the defendant and threatened the witness, who is a licensed social worker, that if he "didn’t tell us everything you know," then "your life will take a complete turn for the worse." "It was a fake grand jury subpoena," said Raiser. "They were trying to cross examine him in essence without a judge or an attorney with him in order to gain information about the case." Concerned about what happened, Raiser filed a Motion for Sanctions. Judge Christopher Quinn, in his response, called the district attorney’s conduct “legally questionable” but fell short of sanctioning prosecutors because Judge Quinn said it didn’t seem to scare the witness from testifying. "It is misconduct to use a subpoena to drag somebody into your office," said Gerald Lefcourt, the current president of the Foundation for Criminal Justice. He believes this is a clear misuse of subpoena power. But in a statement, Brendan Brosh, a spokesman for the Nassau County District Attorney’s office told the I-Team, "The subpoena was not fake. This office was legitimately pursuing the possibility of separate, additional charges driving out of the same incident." Brosh acknowledged that the witness never spoke to a grand jury because prosecutors did not believe the witness was "being truthful." As for why the subpoena directed the witness to the district attorney’s office, Brosh said that an "old and inappropriate subpoena form was used" and that they will "ensure this clerical error is not repeated." But former president of the Criminal Courts Bar Association, Cornell V. Bouse says he has seen this before. In 2010, he obtained a nearly identical type of subpoena, directing a grand jury witness to the Nassau County District Attorney’s office instead of court. "I wrote the district attorney’s office then and requested that they stop using these subpoenas," said Bouse. "Is the same practice happening again? Or did it ever stop?" Then District Attorney Kathleen Rice replied that they would take steps to comply with the request. "My fear with this case is that if it doesn’t stop here, it could continue," said Raiser. "If nothing is done in my specific case, what is to stop the district attorney from continuing this practice in the future." While the judge did not sanction the district attorney’s office, both Raiser and the witness could still file grievances.